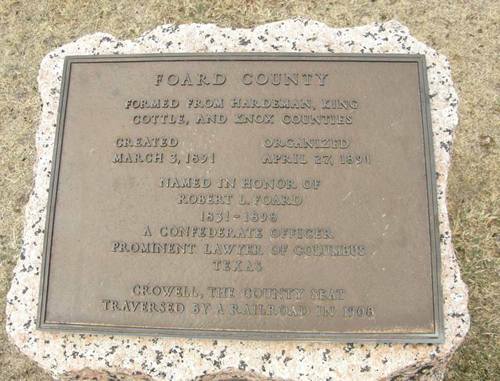 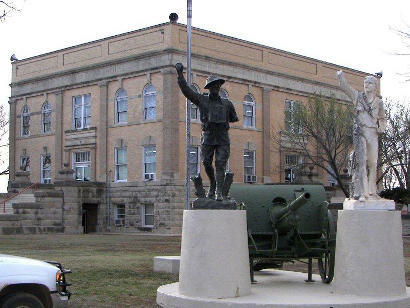 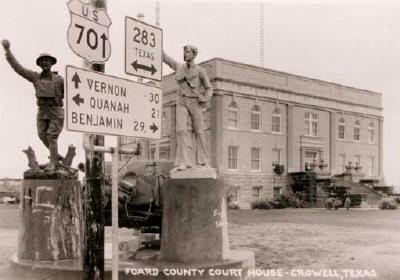 Foard County Courthouse, Crowell, Texas history, markers, WWI statues, photos and more. 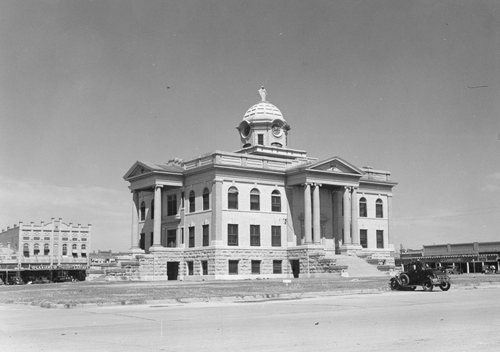 This Texas Renaissance style courthouse had a dome before it was struck by the 1942 tornado. 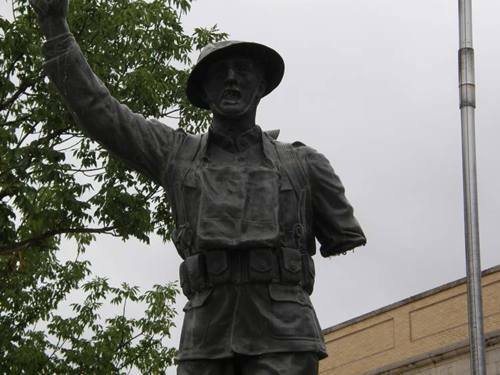 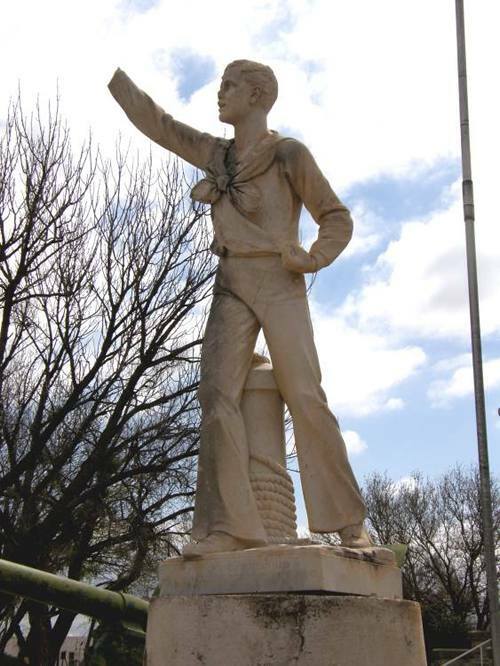 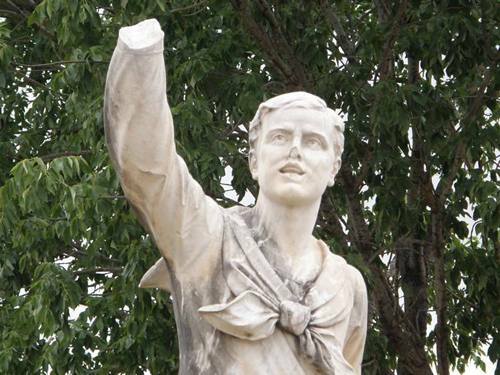 The most obvious damage visible today is damage to the twin WWI monuments (soldier and sailor) who lost limbs. 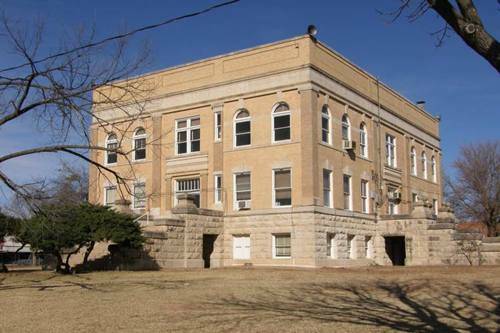 This is the second courthouse to serve Foard County since its creation in 1891. 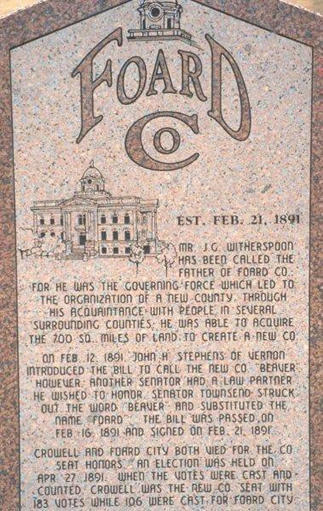 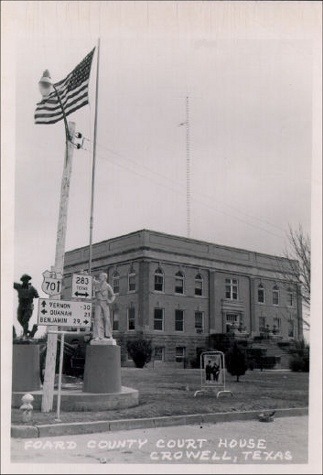 By 1909, the first courthouse proved too small for the needs of the county, and voters passed a bond election for the purpose of building a new one. 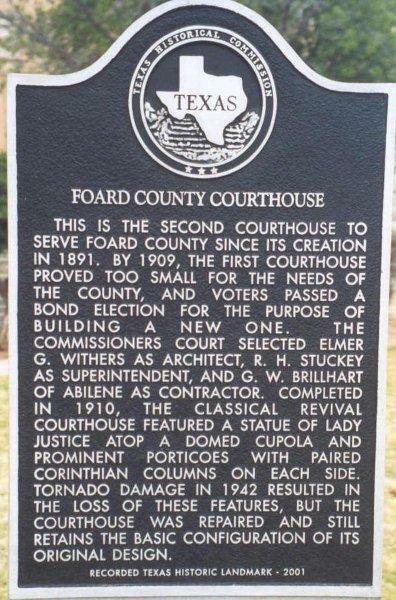 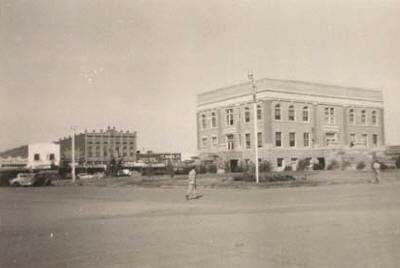 The Commissioners Court selected Elmer G. Withers as architect, R. H. Stuckey as superintendent, and G. W. Brillhart of Abilene as contractor. 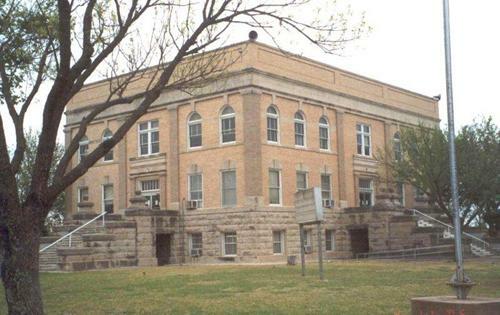 Completed in 1910, the Classical Revival courthouse featured a statue of Lady Justice atop a domed cupola and prominent porticoes with paired Corinthian columns on each side. 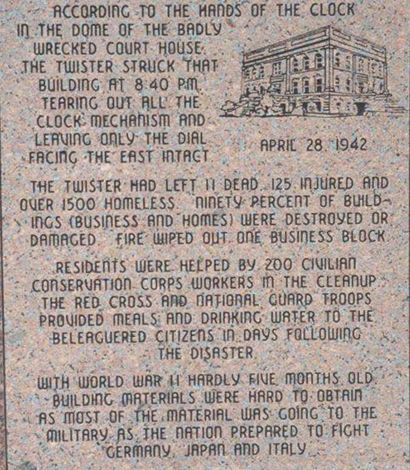 Tornado damage in 1942 resulted in the loss of these features, but the courthouse was repaired and still retains the basic configuration of its original design. 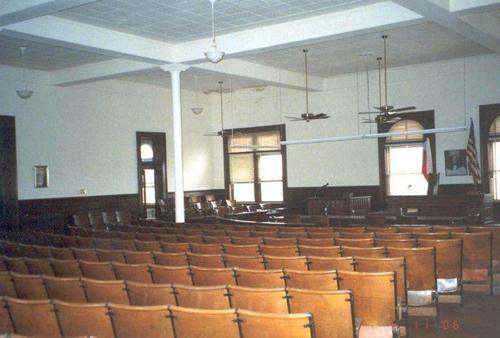 "Although stripped of its original classical details, it remains an imposing structure." 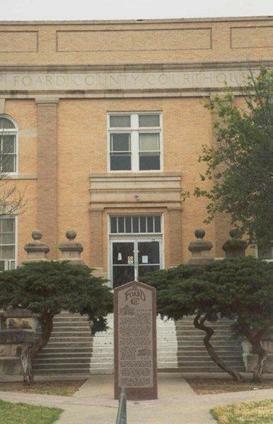 "The front entrance of the courthouse - The stone spheres on the pedestals mark the spot where the building's large columns once stood. 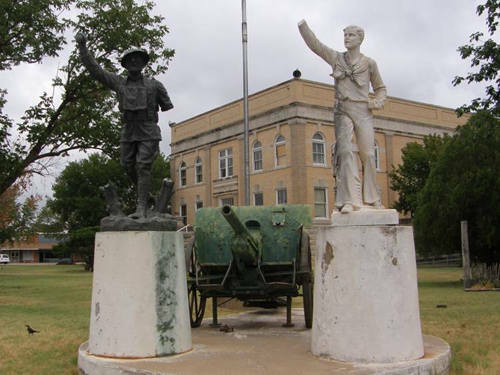 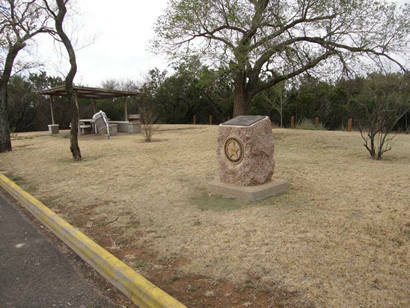 The granite monument in front of the courthouse relays the county's history and the facts of the fatal tornado that practically destroyed Crowell and altered the appearance of the courthouse."